We heard he’s hiding in some of our Downtown stores and we need YOUR help finding him! Visit Downtown Visalia to try and see if you can find one of Tipper’s hiding places. If you spot him, you will be entered to win a special package from your Visalia Rawhide Baseball Team (details TBA). 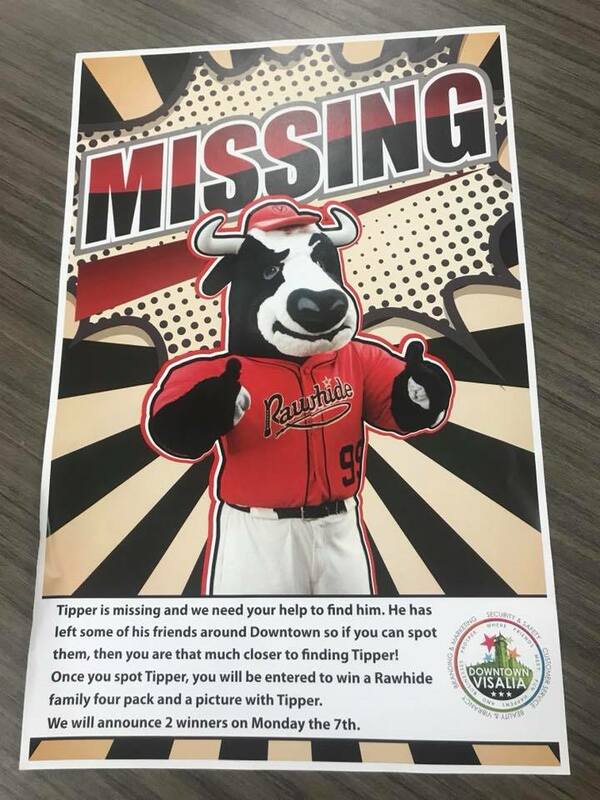 So, head on over to Downtown Visalia to help us Find Tipper!